The history of the image of the Holy Child of Ternate (Santo Niño de Ternate) in relevance with the founding of the municipality of Ternate, the Parish, and the Mardicas. In 1513, Portuguese succeeded in capturing Moluccas or the so called Spice Islands, one of the most progressive parts of the world and Ternate was a town of it. Saint Francis Xavier, a Portuguese Jesuit Missionary, founded a Christian Community in the said area. On the other hand, in 1574, many Christian Mollucans fought against Portuguese because of their harsh government over Mollucans. When the throne of Spain and Portugal was merged by King Philip II, many Spanish Expeditions were sent to conquer Mollucas in 1606, and they succeed in capturing Ternate, Moluccas. After Kue-Sing, called by the Spaniards of the time a Chinese pirate, had driven the Dutch from Formosa in 1662, he sent an ambassador to Manila, demanding that the Philippines submit to his rule and become one of his tributary states. It was in the time of Don Sabiniano Manrique de Lara, governor and captain-general. Having refused to submit to the Chinese demand, the captain-general, in preparation for the threatened invasion, ordered the abandonment, not only of the posts held by the Spaniards at Zamboanga and other parts of Mindanao, but also of that of Ternate in the Moluccas, which had been taken by them in 1606 and held since that time. The garrison of Ternate, thus evacuated, came to Manila in 1663, and accompanying the Spanish soldiers and established themselves in Bagumbayan, which is Ermita today. About 200 of them came to fight against the Moro pirates. The Mardicas (men of the sea), a race very friendly to the Spaniards, accompanied the latter to Manila, taking with them to their new country the Holy Child of Ternate, patron of their town, whose image they held in great veneration. Land was assigned to them in Maragondon, Province of Cavite, where they established the town of Ternate, the present inhabitants of which are the descendants of those loyal islanders. (Historia de Filipinas. Montero, Tomo I, p. 327). They first named their village Galala taken after a tree similar to theirs in Moluccas, Indonesia where they came from. 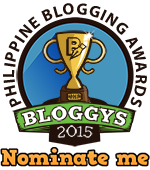 Then it was changed to Barra de Maragondon since it is situated at the coast of Maragondon. Later, to Ternate in honor of their far away village also named Ternate. In 1850 the burgeoning Merdica population were able to build from their own funds a stone church, a casa real (tribunal or municipal building), and a school house Under the leadership of Florencio Ninofranco, the community became a regular pueblo or town, and they named it Ternate in memory of their ancestral birthplace in the Mollucas. Pablo de Leon, a wealthy Merdica leader, became the first gobernadorcillo of Ternate. Another source says that Ternate was separated from Maragondon and became an independent municipality in 1863. It is true, sir, that we originally came from a far distant country. When Don Sabiniano Manrique de Lara was governor of these Islands, about the year 1654, he learned that there was being prepared a great expedition in China, consisting of many ships and thousands of men for the conquest of the Philippines. He thereupon endeavored to gather together in Manila as many fighting men as possible to resist this powerful enemy and wrote to Ternate, in the Moluccas, from whence came our forefathers, that the few Spaniards soldiers that were there should come to reinforce the troops in Manila. As soon as the plight of Manila was known, vessels were prepared, and the head of the expedition asked what Mardicas wished to go to the war. Our ancestors volunteered to the number of two hundred, and came with their Spanish missionary, a Franciscan, bringing the venerated image of the Holy Child that is the patron of our church. After their arrival there was no war, but many of our ancestors served on his majesty's ships; afterwards they were assigned land to live upon, which is now known as Bagumbayan. In the middle of the last century of the government had the Mardicas come here in order to protect Maragondon from the continual attacks of the Moros, and since that time our forefathers and we have been established here. That is all I know of our predecessors. Though this article lacks something of the seriousness of his history, it agrees in the main with appears from other sources, but, as will be seen hereafter, the Mardicas were established in Maragondon much earlier than the middle of the eighteenth century. Ternate was at that time a hamlet (barrio) of the town (pueblo) of Maragondon and is situated on the coast of the Province of Cavite, opposite the Island of Corregidor. It was later made a separate town. His reverence, the provincial father, Fulcheiro de Spilimbergo, of this town and church of Maragondon, saw the book of elections of the perfect and other officials of his holy congregation or brotherhood of the holy name of Jesus of Ternate, and it appeared to him that not only should it be preserved and cherished with all care ... is one of the most tender and glorious memories of these Islands, glorious for its antiquity, since it dates its commencement from the founding of Christianity in this province by the preaching of the apostle San Francisco Xavier ... most tender and devout; since in memory of those fervent Mardicas who, seeing themselves abandoned by the Spaniards, in order to maintain their Christianity, with pious generosity abandoned their country, homes, and privileges, and came to these Islands in order to live in security in or holy Catholic faith, bringing with them their cherished image of the Holy Child Jesus as in triumph of their fidelity. In the same year the Archbishop of Manila "conceded forty days' indulgence to those who should devotedly recite a Pater Noster, Ave Maria, before the holy image of the Most Holy Child Jesus of Ternate which is venerated in the parochial church of Maragondon." 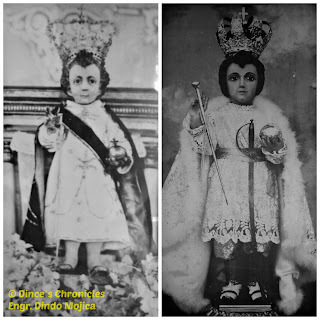 In 1769 the Archbishop of Manila "conceded eighty days' indulgence to those who should devotedly recite a Pater Noster, Ave Maria, before the holy image of the Most Holy Child Jesus of Ternate, which is venerated in the parochial church of Maragondon." The catholic parish of Santo Niño was founded in 1865, two years after the establishment of the municipality of Ternate. 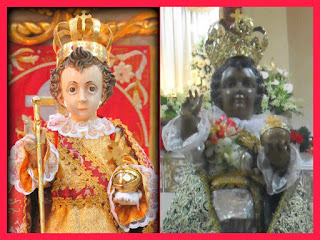 Many miracles were associated to the Santo Niño (Holy Child Jesus) that’s why the devotion to the Santo Nino quickly spread. 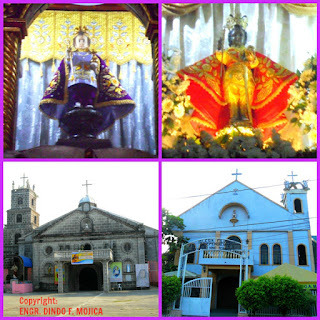 Thousands of believers and devotees from the provinces of Batangas, Rizal and Bataan went to the town of Ternate. On 1692, a church made of stone (adobe) was constructed by Father Antonio de Borja, a Jesuit priest. 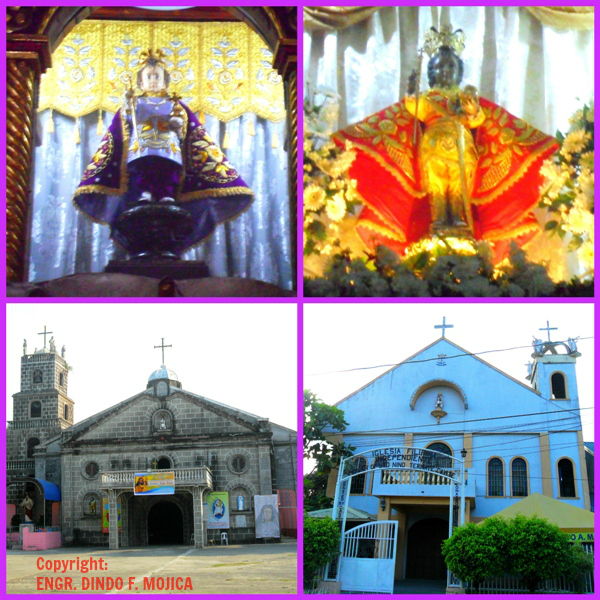 Then on 1700, Ternate became the visita of Maragondon but the church was forlorn. That’s why on 1845, there’s a necessity to build the church again. On 1899, the church was destroyed during the Spanish-Filipino revolution. On 1906, the church was destroyed during the revolution underwent repairs. 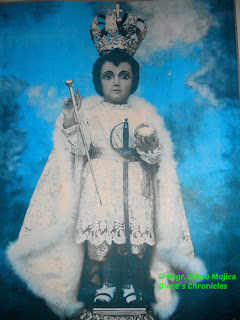 No remnant of the former church except to the image of the Santo Niño de Ternate. During 30 years, Ternate was subjected of interdict of Manila Archbishop Jeremiah James Harty, when he was hit by a rock on his feet while performing visita pastoral. 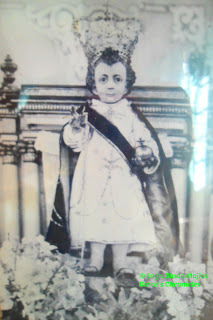 The parish was resurrected and at present, the original image of the Santo Niño de Ternate was placed here. One of its old tradition is that giving the Santo Niño a bath annually before the new year’s Eve. It was believed that the water that was used to bath the Santo Nino can cure many illnesses. 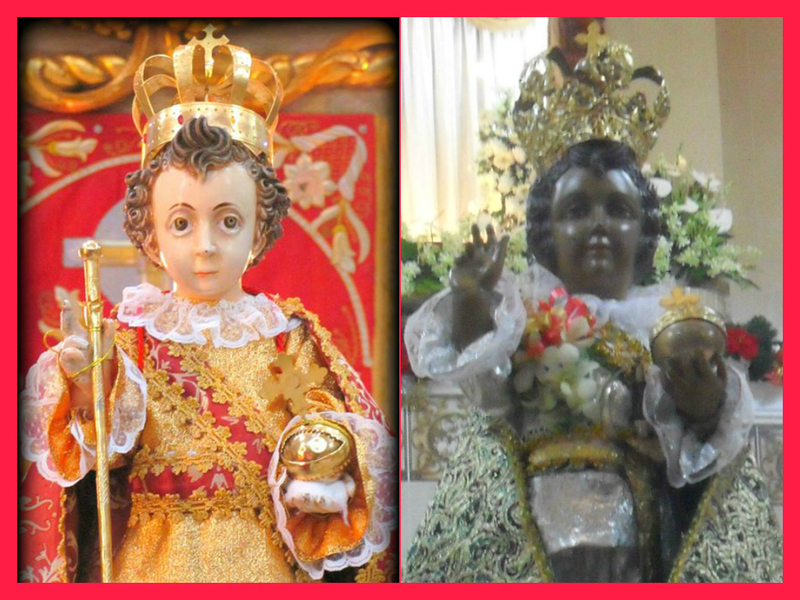 The feast of Santo Niño de Ternate is celebrated annually on January 6. Since the Santo Niño de Ternate is widely known for the many miracles attributed to it, religious devotees from all over Cavite as well as from neighboring provinces flock every year to Ternate to attend the patron saint’s feast day.